Millions of dollars earmarked for First Nations education were quietly removed from the books by the previous Conservative government, the feds said Friday, ahead of their first budget on March 22. The Liberal government says much of the funding it was counting on for First Nations education was quietly removed from the books by the previous Conservative government, leaving them to scramble ahead of their first budget on March 22. The Liberals had campaigned on a pledge to invest $2.6 billion in First Nations education over four years and $500 million over three years in infrastructure for First Nations schools. "I can confirm that the previous government removed the promised additional funding for First Nations education and which the previous minister confirmed in this House," Indigenous Affairs Minister Carolyn Bennett said during question period today. Bennett's office could not confirm what the exact amount "removed" from last year's ledger was, referring CBC News to finance officials. 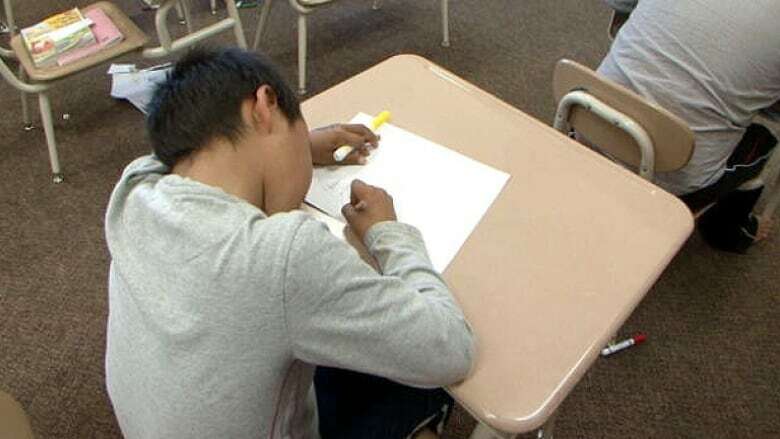 The Finance Department told CBC News that the budget tabled under the Conservatives in 2014 allocated $1.25 billion for First Nations K-12 education over three years starting in 2016-17. The Conservatives repeatedly made it clear that funding was contingent on First Nations' support of Bill C-33, known as the First Nations Control of First Nations Education Act, which never materialized. "In Budget 2015, much of this provisioned allocation was removed but not announced," said David Barnabe, a finance official, in an email to CBC News. "Of this amount, currently $241 million remains in the fiscal framework for those three years." With the budget scheduled to be tabled in Parliament in less than two weeks, former parliamentary budget watchdog Kevin Page told CBC News the government is providing "insufficient clarity" on the matter. "The Finance Department has not been sufficiently clear on how the money was reduced and re-profiled," Page said in a phone interview with CBC News on Friday. The New Democrats had little sympathy for the Liberals, urging them to own up to their own promises to improve the lives of First Nations children on reserves. "Blaming the previous Conservative government for their failure doesn't help First Nations children out now," NDP MP Nathan Cullen said during question period. "Simply saying that it's the last government's fault, when the Liberals made a sacred commitment to fix the gap, to fund $2.6 billion in education." Bennett said the government will have to make do without the funds they were counting on. "Although we are saddened by the revelation of the previous government taking the money for First Nations education, we redouble our efforts to actually close this gap," Bennett said on Friday without details. In addition to First Nations education funding, the Liberal government has pledged to remove the two percent cap on funding for First Nations programs. The federal government is forecasting a deficit of $18.4 billion in 2016-17 and $15.5 billion in 2017-18 before any new spending is outlined in the upcoming budget. The Conservatives did not provide comment. Last August, the office of then Aboriginal Affairs Minister Bernard Valcourt told CBC News that $900 million of the funding announced in 2014 was still available for First Nations education, although it came with some strings attached. "The remaining funds are still available, but as we said all along, investments will follow reform, not replace reform," Valcourt's office said in an email to CBC News. "So we are working with willing First Nation partners to help provide First Nations children with a quality education." With Parliament adjourned for March Break, MPs won't return to Ottawa until March 21 — a day before the Liberal government tables its first budget.